Addam's car. Любовь the vulcher капот, худ ornament. Wallpaper and background images in the The Addams Family 1964 club tagged: addams. This The Addams Family 1964 photo might contain двигатель внутреннего сгорания, лед, and лёд. What episode is this from? 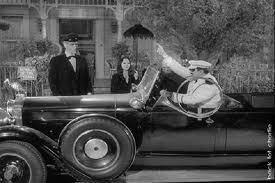 I know another episode featuring the car is 'addam's family tree' but this episode is different.